FlamesNation will be donating $25 for each Micheal Ferland hit in the upcoming season opener to Kids Up Front Calgary. Find out why below – and how you can help! Tomorrow is a big day. 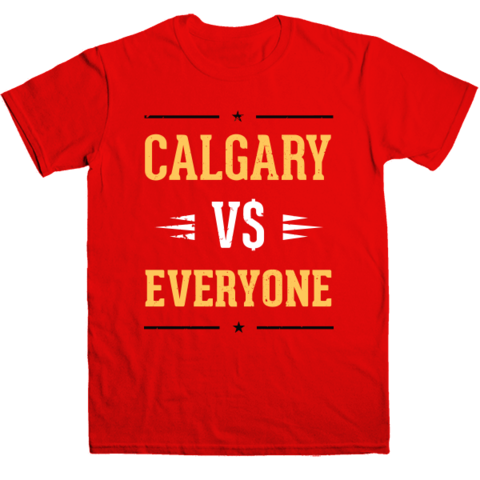 It’s the beginning of the hockey season as the Calgary Flames host the Vancouver Canucks. If there’s one thing we love more at FlamesNation than hockey – and perhaps more than humbling Vancouver – it’s sharing our love of hockey with others. That’s where you come in, gang. Our goal tomorrow is to enjoy a fine 60 minutes of the most perfect sport in the world (ice hockey), but also to raise some funds for a really deserving cause that does a great deal of good in the local Calgary area. We call it Flames Money on the Board. So, tomorrow evening, as the Calgary Flames do battle with the dastardly Canucks, we hope you’ll join us in raising some funds for Kids Up Front Calgary and enjoy the hockey game knowing you’re also helping out some really deserving young people in your community. donating the appropriate amount to Kids Up Front Calgary. In the playoffs, Flames fans marveled as Micheal Ferland introduced himself to the world by clobbering Canucks players, and transformed from “irrelevant” to an NHL regular. So to commemorate the first regular season Flames/Canucks meeting, FlamesNation.ca is donating a cool $20 for every hit Ferland officially registers during the game. In addition, because it’s Sam Bennett’s second NHL contest and he’s still getting his feet wet, I’m personally donating $5 to Kids Up Front Calgary for every shot on goal he registers. level pledge. In fact, the pledges are completely customizable! You can play around with the Google Pledge form we’ve put together here! 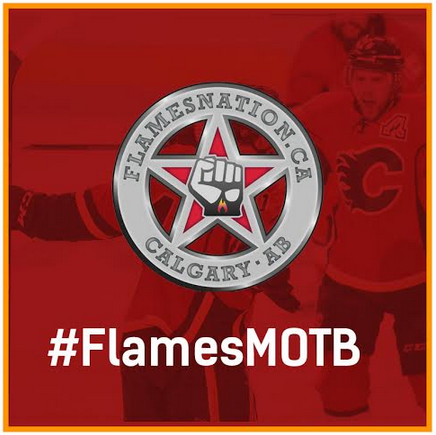 Make a pledge and then let us know about it on Twitter by tweeting at the @FlamesMOTB account. Share your pledge with friends and encourage them to join in! directing you to make the donation directly to Kids Up Front Calgary. raising money for a good cause, and taunting Canucks fans (good-naturedly) in the process. donation in excess of $15. Here’s how you can help. Click on this google form and pick your pledge. Think up something funny and personal and likely to occur. Then tweet about it to @FlamesMOTB and to all of your friends on Twitter. Share it on facebook. Post your pledge to Reddit. Help us get the message out! t-shirt. Either way we’ll send you good vibes and our gratitude. community that has given us so much. HELP US SUPPORT KIDS UP FRONT CALGARY, AKE YOUR PLEDGE NOW!